We all know that the North Shore of Oahu is pumping in the winter. The question is, once the surf dies down and the boards are packed away for the summer, what is there to do? Easy question. 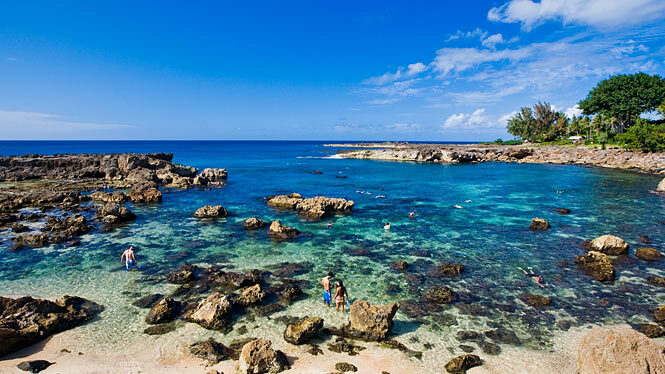 Check out our Top 10 North Shore activities! 10) Eat! – The North Shore is riddled with famous food trucks throughout the year but it’s still worth the mention! Our favorite ones are located a short (5 min) walk from Backpackers Hawaii in Pupukea click here for directions. 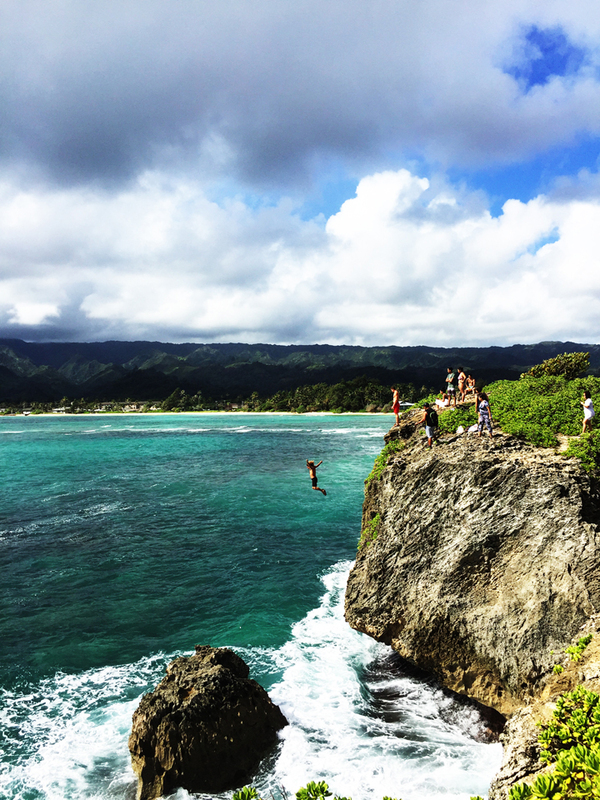 9) North Shore Ehukai Pillbox Hike – The Ehikai Pillbox Hike is probably better known has the Sunset Pillbox hike referencing its amazing views of the Banzai Pipeline and located high above Sunset Beach. The trail head is a short bus ride or bike ride down Kamehameha Highway and begins in the parking lot of Sunset Elementary School. 8) Paddle Boarding – Head into Haleiwa town and rent a couple of Stand Up Paddle Boards from one of the many surf shops and explore the Haleiwa river. 7) Zipline – Check out the longest Zipline on Oahu at Climb Works. This 3 hour tour offers amazing views of the North Shore and is well worth the spend! 6) Ka’ena Point – Ke’ana Point is where the North Shore meets the West Coast but you have to walk about 3 miles to get to the point. Ke’ana Point is a bird nesting area and often home to resting Hawaiian Monk Seals. 4) Sky Diving – Hands down one of the most beautiful drop zones in the world is located just down the road! 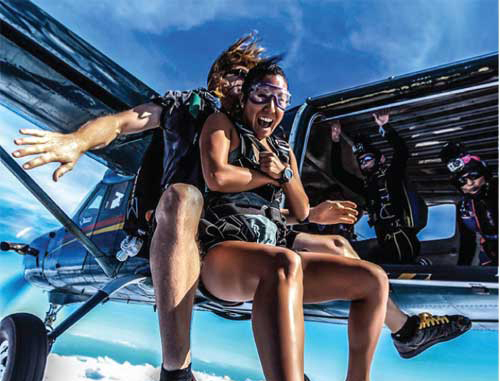 Our friends at Sky Dive Hawaii offer our guests a great discount when you book at the our front Desk. 3) Sharks Cove – Located across the street from Backpackers, Sharks Cove is home to some of the best snorkeling, free diving and Scuba Diving on the island. You can book your Scuba Adventure with our friends at Hawaii Eco Divers. 2) Learn to Surf – The summer season is a great time to learn to surf on the North Shore! There are lots of small breaks that are perfect to learn on. Our friends at the North Shore Surf Girls give lessons and instruction to all levels of surfers. 1) Pick a Beach, any Beach. There are so many world class beaches just a walk, bike ride or drive away! This is a video I made of a typical day here on the North Shore of Oahu. Golfing, surfing, and hanging out with close friends and loved ones. What can I say we are truly blessed here! Enjoy! Sunny Days on the North Shore from Conner Wagner on Vimeo.